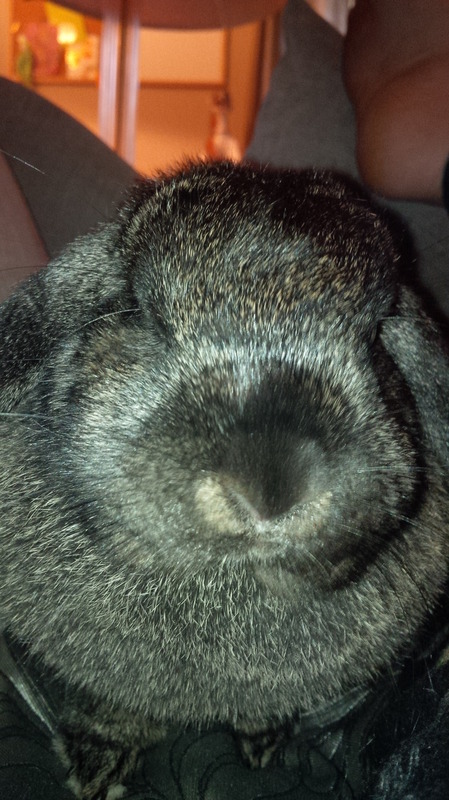 October 5th, 2013, my bunny Bananaz was chilling with me in Guelph, Ontario. He was always such a cuddle bunny from the day I brought him home from the Human Society via PetSmart. He is now living with me, and his girlfriend Rhubarb the rabbit, in Etobicoke, Ont. And still the best cuddler around!